Book Denied, B-Day for Dogs, What’s Normal? The pieces of a book for me are very scattered – then eventually you begin to see the pattern…and sometimes it’s a crazy quilt. 28. 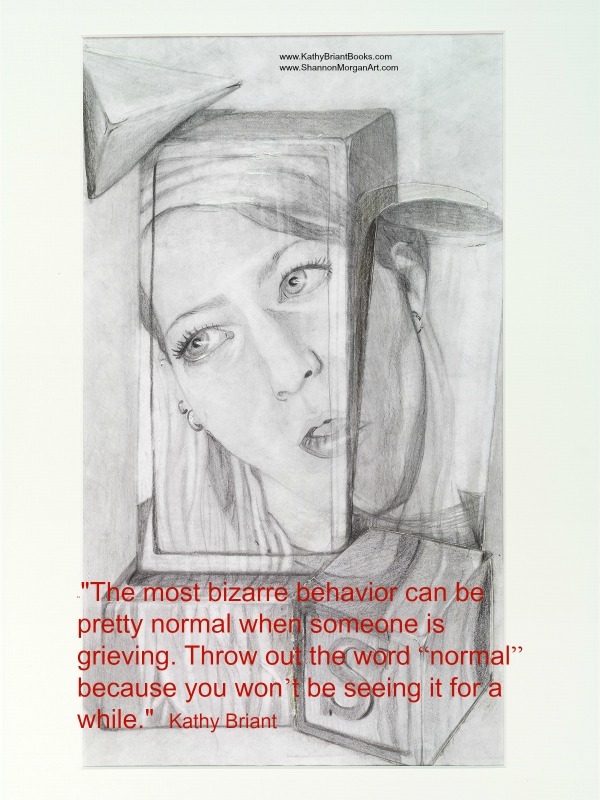 The most bizarre behavior can be pretty normal when someone is grieving. Throw out the word “normal” because you won’t be seeing it for a while. When my daughter died, I could not say her name without crying for a whole year. Very inappropriate in some settings. I couldn’t deal with it for a year and at the end of the year, I found a grief support group, which helped a lot. I really didn’t have much of a will to live either. A woman I know slept in her child’s bed and kept his room closed so his smell would stay. After about a year when the smell of him left, she sold the house. Another couple went to bed for three months and their son had to make sure they ate something and eventually was able to get them out of bed, until the second year, when they went to bed again. The mom said, the first year was just coping with the loss, the second year, you know it is permanent for always and for her the real grief began. I was waiting for something and after a few weeks, realized I was waiting for Shannon to phone me. She never went more than a week or two without phoning. My mind knew she was gone, but emotionally, I couldn’t imagine her not phoning again. I couldn’t comprehend it.